Aliens could be out there. We simply don’t know it yet. Part of the reason we’re still pretty clueless is because our technology is still in its infancy. But scientists and engineers are rapidly vamping up the tools we’ll need to answer one of humanity’s most compelling questions: Are we alone? Here are six ways scientists plan to delve into this mystery in the coming years. We might have to dig: Mars was once a warm, wet world with conditions ideal for life, but any life that's still around is probably buried deep underground. 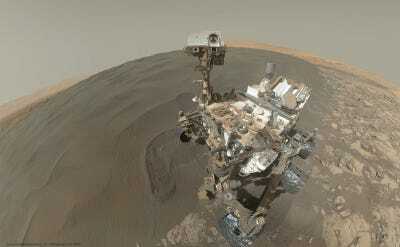 Robots can't dig deeper than a few inches, so it might take astronauts on the Red Planet to collect the right samples. NASA is currently exploring the novel landing technology we'd need to land humans on Mars' surface. Read more about why we should send humans to Mars here. 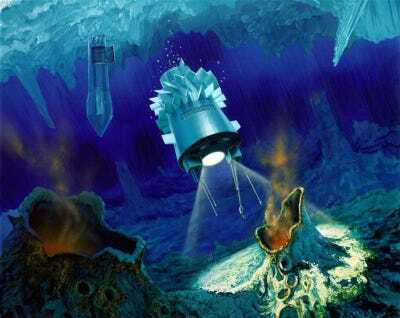 Swimming is another option: Sloshing beneath the surface of Jupiter's tiny moon Europa is thought to be an ocean larger than anything on Earth. But if we're going to test those distant waters, it will take landing a robot on the surface that can drill into the icy surface. NASA has plans to launch its first mission to Europa in the 2020s, and it might include a lander. Learn more about NASA's upcoming mission to Europa here. 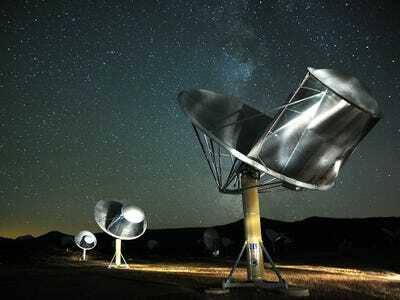 We might just need to look: For decades, the SETI Institute has used radio dishes to listen for signs of aliens. But now, SETI scientists are working on an instrument that could look in the optical regime (what we see with our eyes) for any bizarre signals that could come from an intelligent civilizations hundreds of light yeas away. 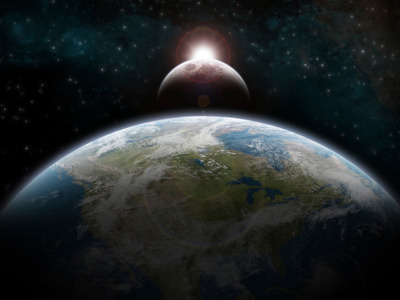 Read about what the former director of the Center for SETI Research at the SETI Institute, Jill Tarter thinks about aliens here. Some say we should shout: It might take more than listening and looking to trigger a response. A new group, called Active SETI, supports the notion that we should also start sending signals into space. One of the group's leaders, psychologist Douglas Vakoch, is leading a project called 'Earth Speaks' that asks everyone around the world to describe what message they'd transmit on behalf of all humanity. 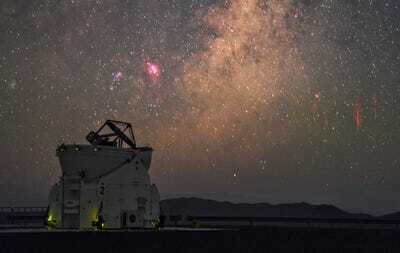 Red sprites (right) captured from ESO's VLT platform by Petr Horálek. 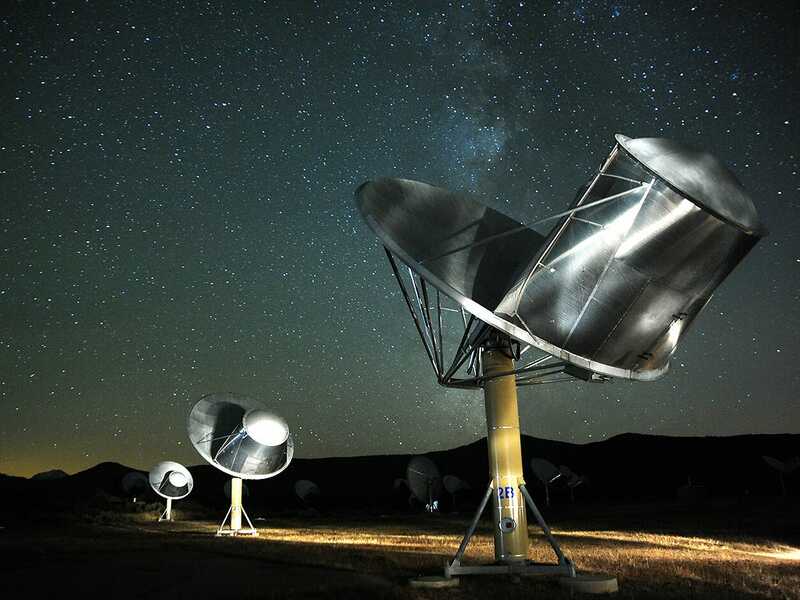 Learn more about Active SETI here. We'll start smelling alien atmospheres soon: A growing field in astronomy is the search and study of exoplanets, planets beyond our solar system. Many in the community are excited for the next generation of giant telescopes, the first of which are set to come online in the early 2020s, which will have the power to examine the chemical compositions of exoplanet atmospheres for telltale signs of life. 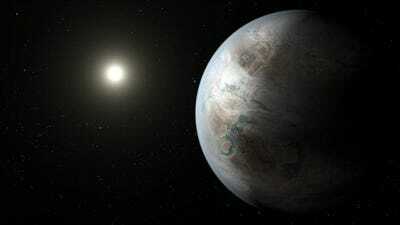 Read more about one of the closest exoplanets whose atmosphere we could study in detail here. Aliens could also already be here: There might be a class of never-before discovered life right here on Earth that scientists call the fourth domain. Right now, there are 3 known domains: archaea, bacteria, and eukaryota, where each domain has a distinct RNA gene structure, which means no one group is related, ancestrally, to the others. But a team at the Joint Genome Institute proposed in 2014 an experiment that would search for a fourth domain. Read more about how we could discover a completely new form of life here.